Following 23 shows and 19 flights throughout Europe, today pioneering Florida death metal merchants OBITUARY are pleased to unveil the official routing of their first North American headlining tour in over three years! Brought to you by Rock The Nation and sponsored by Fender, the Carnival Of Death Tour 2012 will kick off in Orlando, Florida and tear its way through 20 cities. Further sonic battery will come from reunited DM behemoths Broken Hope as well as Decrepit Birth, Jungle Rot and Encrust, making it among the year's most relentlessly brutal old school metal package jaunts. Additionally, Fender will hosting a special contest throughout the duration of the tour. The Grand prize winner will receive a Blacktop Stratocaster HH guitar. Contest entries will be accepted at the OBITUARY merch table. Finally, since the tour will be passing through New York City on September 11th, the band saw it fit to remove the "Carnival of Death" tag for that date and, through an agreement with Live Nation, donate $2 from each ticket sale to a September 11th related charity. 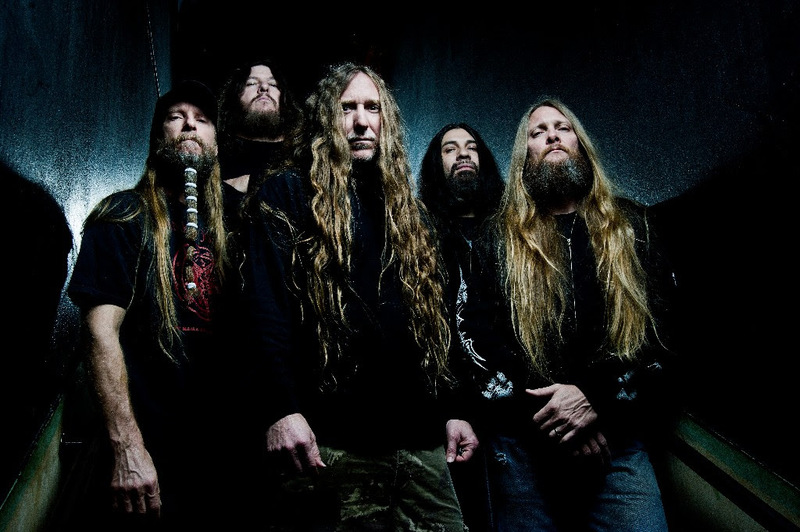 The Carnival of Death Tour marks OBITUARY's first full US/Canadian tour run as a four-piece with legendary death metal alumnus Terry Butler (Death, Six Feet Under, Massacre, Denial Fiend) on bass. For this special journey, the band — vocalist John Tardy, drummer Donald Tardy, guitarist Trevor Peres and Butler — are working on compiling a special fan-generated set-list that will delve deep into their back catalog to include tunes predominantly off their renowned first three full-lengths: Slowly We Rot, Cause Of Death and The End Complete. Adds Butler: "This is my first full length tour of North America with OBITUARY and I'm extremely excited, to say the least! Being part of OBITUARY and this tour is a great honor for me. Plus the special setlist will certainly crush!"